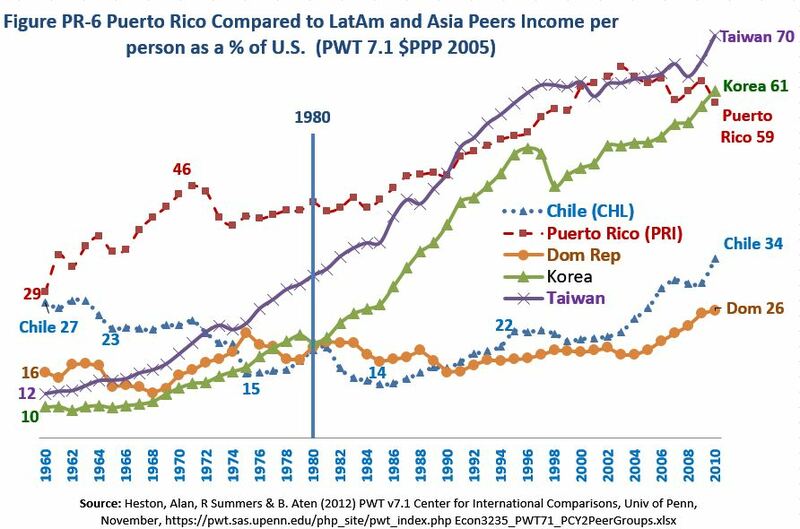 Puerto Rico is only “advanced” or high income Latin American Economy. Chile and Panama are the next highest with about 35% of U.S. GDP per person. This was not always the case. 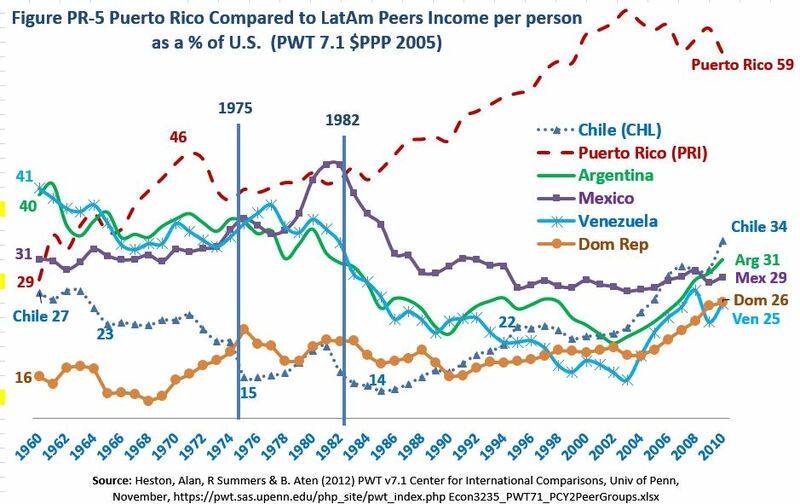 In 1960 Puerto Rico was 4th among Latin American (see Figures PR-4 and PR-5 below). See the Battle for Paradise, by Naomi Klein, on Democracy Now (& see Science Magazine editorial on Renewable energy, Science Oct 5th 2018). FEMA Administrator Brock Long comments on Puerto Rican death toll numbers..
New York and Mexico sent very much needed linemen (who may be women). Why did they step up to help in Puerto Rico? Until 1913 Puerto Rico had a Central Bank and its own currency, then what happened? (just in PR or thoughout the U.S.?) What populist President opposed a Central Bank? Please read Chapter 1 of A&L pages 3-14 (especially Figure 1.1) and 20-33 (if you have time) better and more visual please skim this 5 page magazine article and this USA Today article. *Congratulations to Fordham’s Campus Ministry for meeting its of goal $30,000 for Mexico Earthquake and Puerto Rico Maria relief. Abel, J., J. Bram, R. Deitz, T. Klitgaard, and J. Orr (2012) “Report on the competitiveness of Puerto Rico’s economy.” New York City, NY: US Federal Reserve Bank of New York. Despacito has almost 4.5 views (up from up from 3.7 billion in September 2017) compared to just 2.9B for Gangnam Style this is very symbolic as Korea and other Asian countries have left overtaken LatAm countries (and Puerto Rico) economically (Figure PR-6). Recall the argument of A&L, 2017 regarding why Latin America “unilaterally” liberalized in the 1980s (fortunately PR is prevented from blocking trade by the constitution, unfortunately it got stuck with the Jones Act, which raises the price of almost everything on the Island).